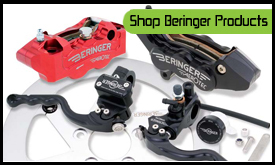 Established in 1987 in the south bay area of Los Angeles, Frog Specialties has been the Number 1 distributor of Beringer Brakes in the United States since 1997. Our experience with those quality products is unequalled in the USA, so always feel free to call us for any product or technical question. We do ship worldwide and welcome dealers. We will post all new products coming out of the fertile minds of the Beringer engineers so come back often and check our “in the news” column. Please note we have moved on February 15th 2015 into the legendary Agajanian Enterprises building in Gardena where we now have a large showroom ! Visiteurs Français, bienvenus et merci de cliquer sur le bouton “Frog Auto” où vous attendent nos prestations auto-moto-bateau-avion pour pièces détachées ou véhicules complets neufs, classiques ou de compétition. Merci de noter notre nouvelle adresse et nouveaux numéros de telephone. N'hésitez pas nous rendre visite a Gardena, CA. Click on an image to check out our products!